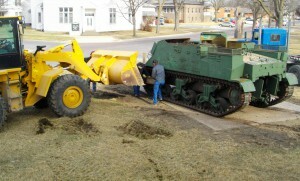 Nemaha County Historical Society - Seneca, Kansas » How do you move a Howitzer? 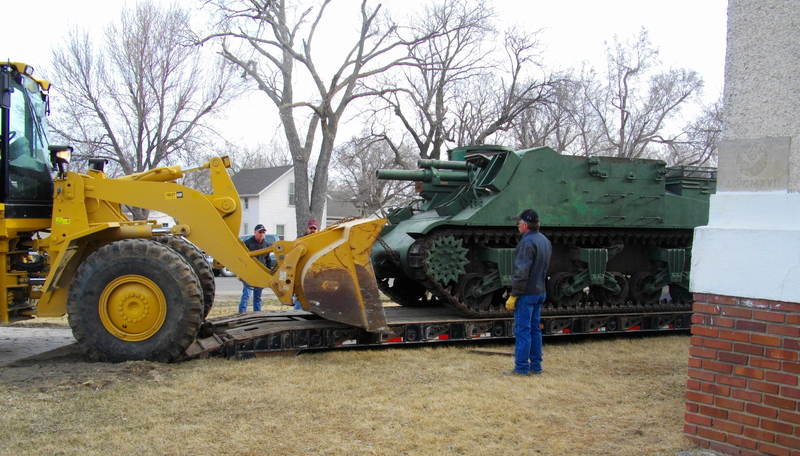 A howitzer is a type of artillery piece characterized by a relatively short barrel and the use of comparatively small propellant charges to propel projectiles at relatively high trajectories, with a steep angle of descent. 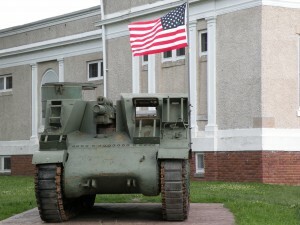 This one is an armored self-propelled 105 Howitzer M7 Priest. 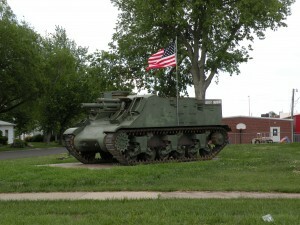 It had a crew of seven and most likely served in WWII and Korea. GI’s commonly referred to this weapon as a Priest due to the shape of the upper superstructure. 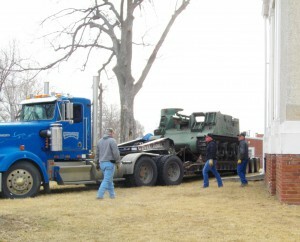 The American Legion Post 21 holds a “deed of donation” by the United States for the Priest which calls out a duty to display and maintain for educational purposes. 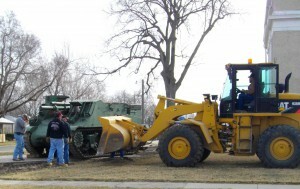 The Legion and Historical Society have signed a joint agreement for the purpose of displaying the Howitzer on the lawn of the Temple of Honor museum grounds. 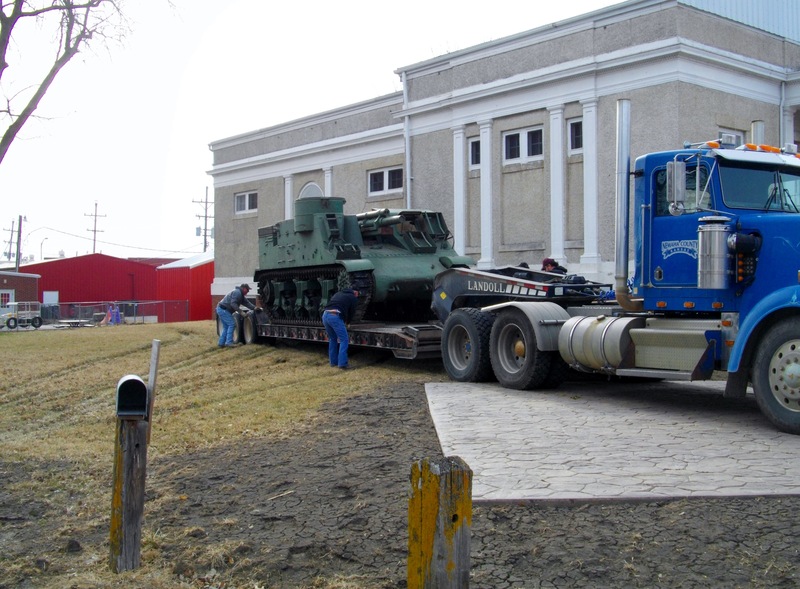 How do you move one that is not operational and weighs approximately 25 tons? 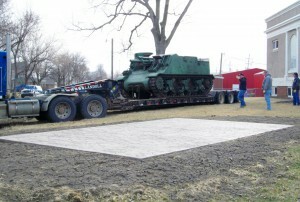 With a very skilled truck driver, heavy equipment, and a heavy chain, and of course volunteers. 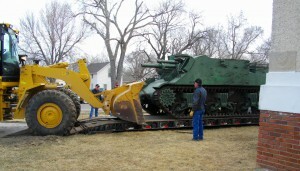 Meet a Howitzer face to face.